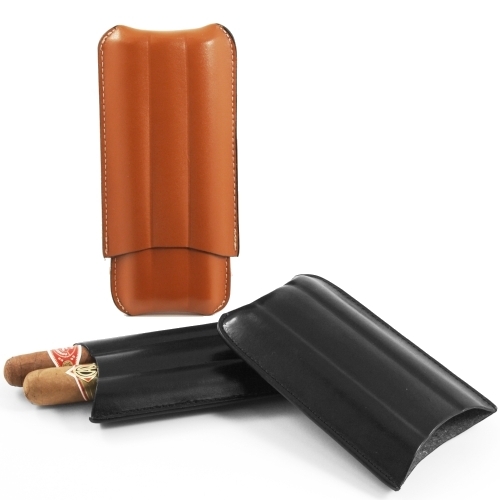 Handsome Leather three finger cigar case will accommodate practically all sizes of cigars. 56 ring gauge up to 8" long with this telescopic case. This offer is for the black case.